Also known as the palmetto bug they are not so common in the UK. They are reddish brown in colour and have a pale yellow area around the perimeter of the top part of the head. 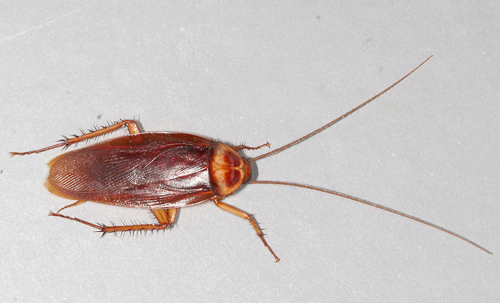 These cockroaches tend to be found in dark, undisturbed areas that are high in humidity.